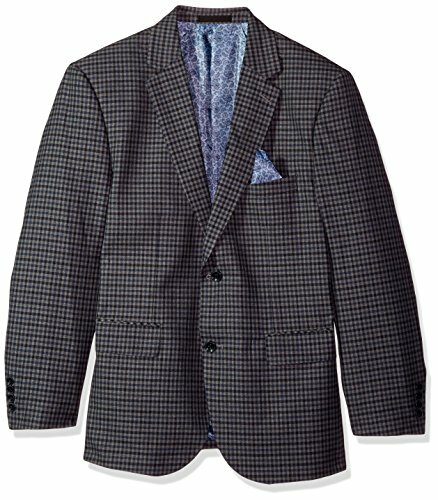 2 button fashion suit separate jacket in Grey/Blue check with a flattering modern fit in Big and Tall. Single breasted, notch lapel, side vents, with stretch armhole. Stretch armhole, fashion pocket hanky. Suit separate pant and vest available.